When they say that it's "what's inside that counts", they really aren't kidding. 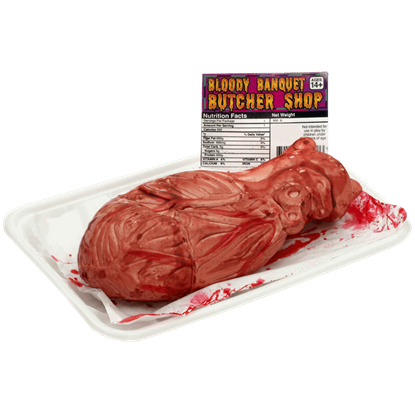 The Butcher Shop at Zombies Playground has risked life and limb to bring you a number of Organs and Innards, all taken from slain zombies and willing human donors so that you might have extra organs for any number of purposes. Essentially, here you'll find all the things that you typically don't see when it comes to human anatomy, including all the gooey and squishy organs that typically are what makes life possible. Predominantly you'll find brains and hearts, which are two of the most essential organs (as well as the two most-favored by zombies, it seems), although you'll also find other organs here as well, including things like intestines and eyeballs. Each of these organs are props only, and many are made from foam, latex, or plastic (or any combination of the three). Some are even served up on little white meat trays, as if they were freshly butchered at a professional shop. Nothing quite adds a touch of fright and fear like any of the Organs and Innards that you can find here, inside The Butcher Shop at the Zombies Playground. 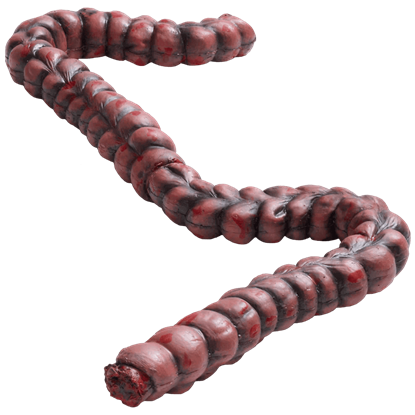 Anyone who has ever fought a zombie knows that they do not have need of virtually any organ in their body, which is why survivors find Bloody Zombie Intestines discarded or held in the hands of the zombie they belong to! Imagine opening the refrigerator and finding a brain sitting on a plastic butchers tray right in front of you. 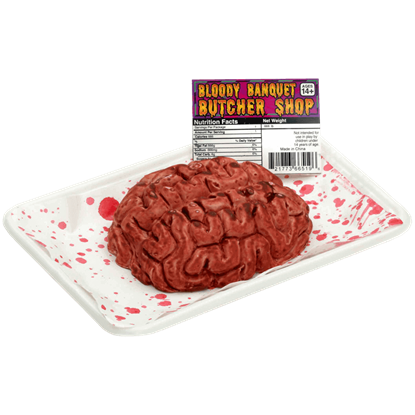 As disturbing as it sounds, it could happen to you or to others if you pick up the gruesome and gory Butcher Shop Brain. Have a heart. No, literally, have a freshly butchered heart. They are rich in protein and sodium, or so the nutritional facts say. The Butcher Shop Heart is a novel and disturbing cut of meat served up on a white butcher tray. Nothing is quite as eerie as catching sight of a realistic looking brain. 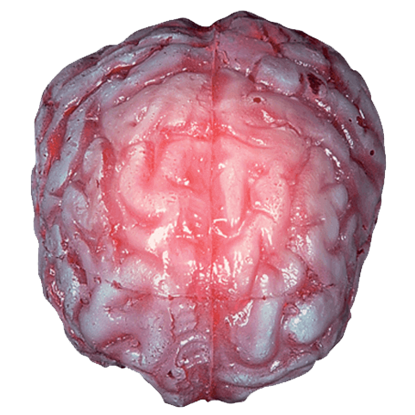 Even odder is when the brain starts to glow and change colors, which is exactly what the Color Changing Realistic Brain does, making it an ideal prop for horror. Imagine how startling it would be to find a human heart just sitting around. 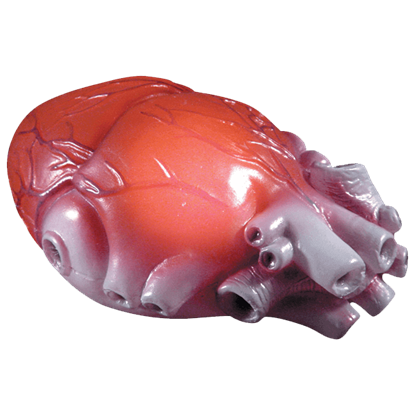 With the Color Changing Realistic Human Heart, that is exactly the kind of frightening shock that you can give whenever you decorate with this impressive organ. Finding a severed arm is one thing, but finding smaller body parts is another thing entirely. This Severed Body Parts Set contains four small parts, all removed from their previous owner so that you can use them as instruments of terror.